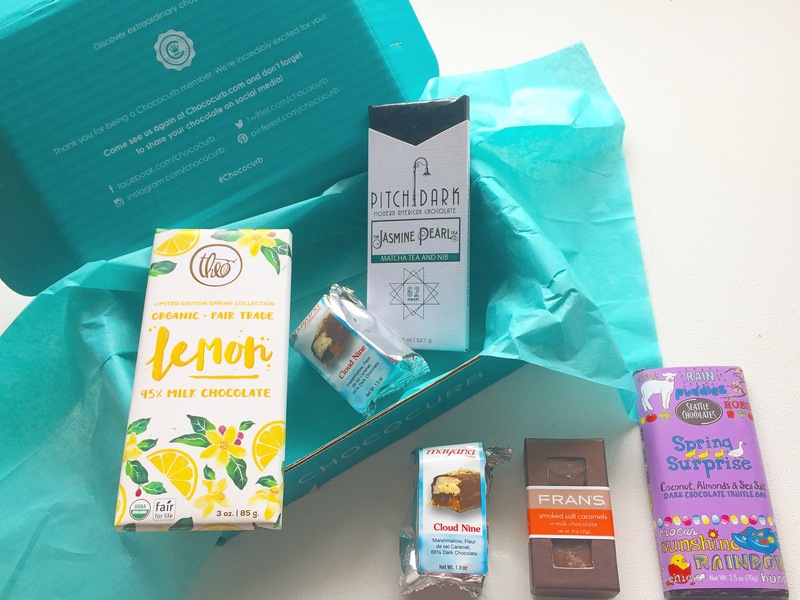 Theo lemon – mmm I love the Theo brand, such good chocolate, loving the hint of lemon here! Pitch dark the jasmine tea – a matcha tea and nib – never tried a matcha chocolate before! Love the tea inspired line! Rain Puddles Spring surprise – coconut, Almond and sea salt dark chocolate truffle bar – mmmm cocococonutty goodness! Mayana chocolate Cloud Nine- okay… these are marshamallow, salted caramel and dark chocolate, could there be anything more exquisite in the world? Fran’s – smoked salt caramels in milk chocolate – holy smokes these 3 mini caramels are so smooth and tasty!